The Screaming Penny: EarPro Fleece EarWarmers: under $3.50 shipped! 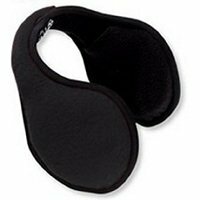 EarPro Fleece EarWarmers: under $3.50 shipped! Amazon.com has these great EarPro fleece EarWarmers right now for only $1.05 with $2.30 shipping. This is a great price with all of this chilly weather!